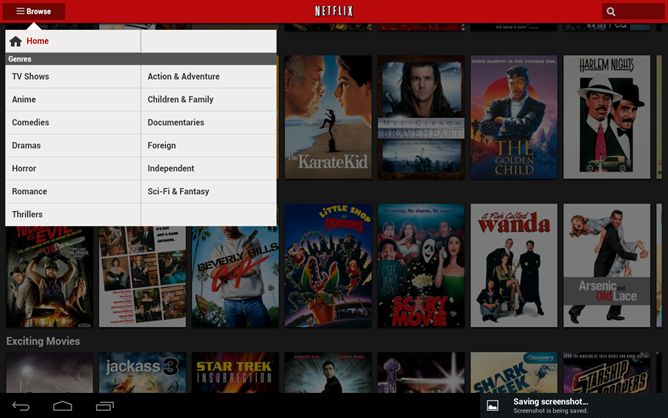 It's a big day for Netflix: the Android app for both smartphones and tablets has been updated to version 2.0. So with this earth-shattering update to everyone's favorite streaming service, they've added... a WiFi switch. That's it. 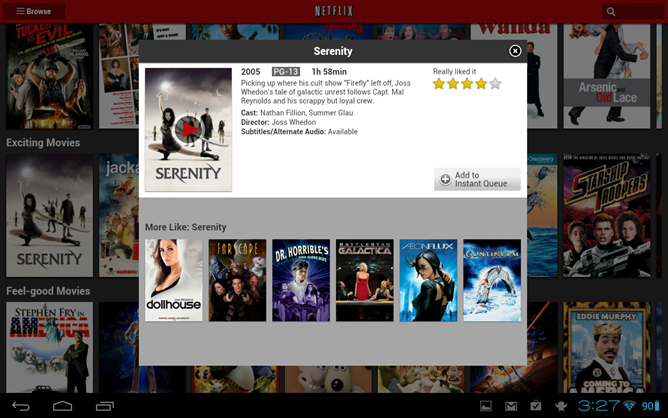 It makes sure you won't use your mobile data while streaming movies or TV shows. There doesn't seem to be much else to justify a full version bump from 1.8.1. Alright, to be fair, there are a few user interface tweaks. You can now get to genres a little quicker via a pop-up menu. And according to the Google Play listing, playback stability has been improved, though a quick look at "The Man Trap" doesn't show any real difference. 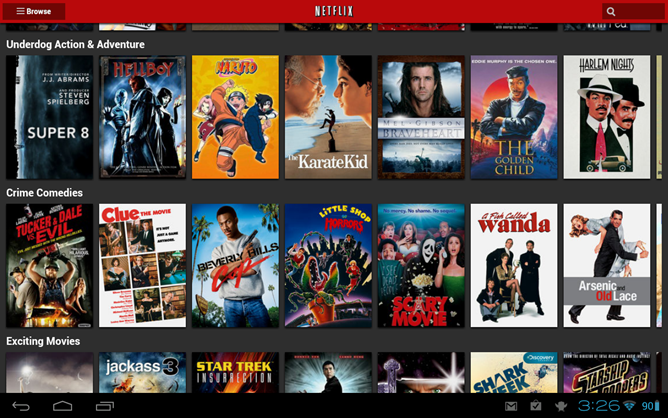 Download it now if you really, really don't want to watch Netflix over 3G.